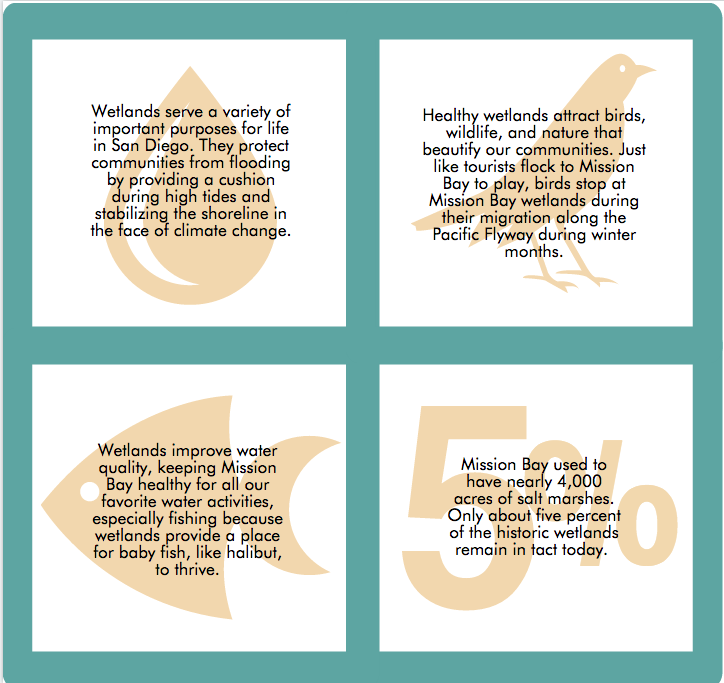 Knowing the importance of healthy wetlands in Mission Bay, San Diego Audubon led a large-scale conservation planning effort to answer a seemingly simple question: In terms of Mission Bay conservation, are we doing the work that needs doing? 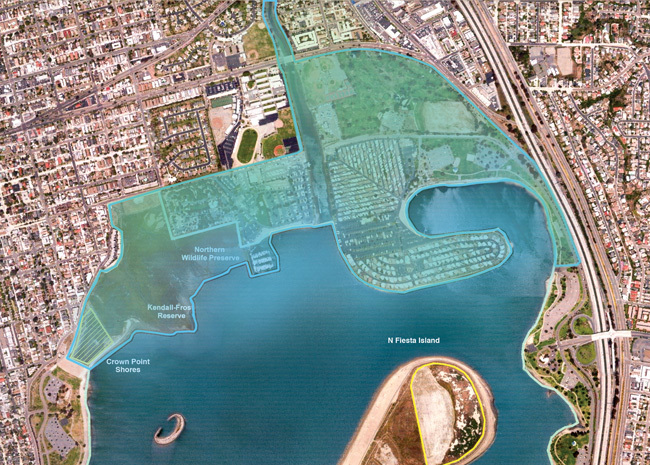 ReWild Mission Bay does not impact all of Mission Bay. This project focuses on existing natural spaces and developed areas east of Crown Point, along Pacific Beach Drive and on both sides of Rose Creek. What makes Mission Bay important? The importance and benefits of wetlands are numerous and expansive, but they often go unnoticed until they need our help. Think of it like your health: When you are healthy, you don’t think much about your health. It’s only when you become unhealthy that you notice how precious your health is and how important it is to take care of. It’s very much the same with wetlands– important, but often not noticed when functioning as normal. And that’s exactly where we are. “Wetlands” is a catchall term for habitats that are at least periodically saturated with salt, fresh, or brackish water. In San Diego, this can include open water, bays, mud flats, eelgrass, salt marsh, transition/upland habitats, and rivers. ReWild Mission Bay works to restore wetlands that form at the mouth of a river or creek – in this case, Rose Creek. Why do healthy wetlands matter?